A signature cycle on the Dingle Peninsula. Outstanding views of ocean and mountains, mixed terrain and a challenge for all abilities. This route contains a mixture of flat and hilly countryside and is very well signposted. Any, but a hybrid or racing bike is recommended. The Road between Tralee and Camp (N86) can be quite busy during the summer and the surface in places is bumpy. Click the following gpx file icon to download this routes directions to your PC or Smartphone. You can use an app like Komoot or Strava to import this file and guide you on this route. This 75 km route is one only to be cycled those who are up for a challenge. This can be quite a testing spin which offers a large variety as well as the possibility of dealing with prevailing and unsheltered Atlantic winds for sustained periods. The route follows the Dingle road out of Tralee out past Blennerville and it is this road in particular that can be quite exposed depending upon the wind factor. The next port of call is Camp after about 16 km, whereby the road to Annascaul is followed. 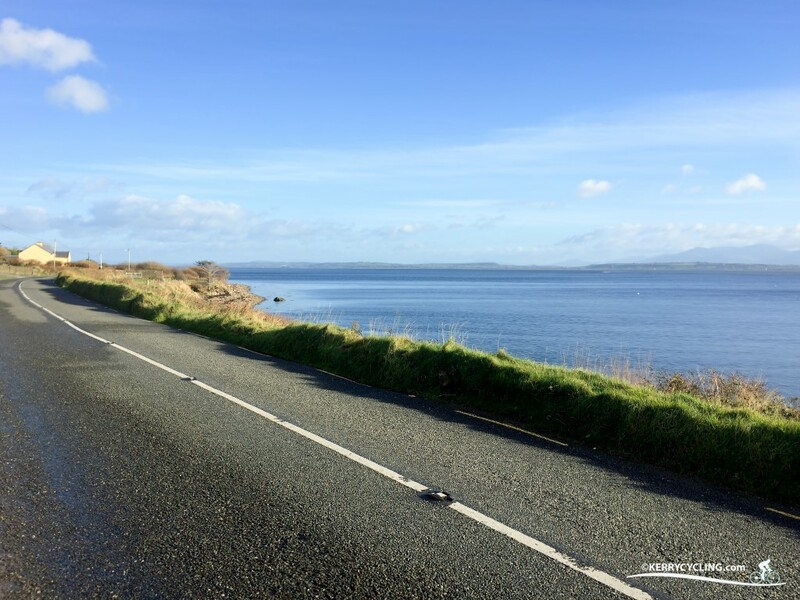 Here begins a noteworthy climb called Geann na Gealt which begins as soon as you take the Annascaul road and continues at a sustained incline up to a height of 205 metres. 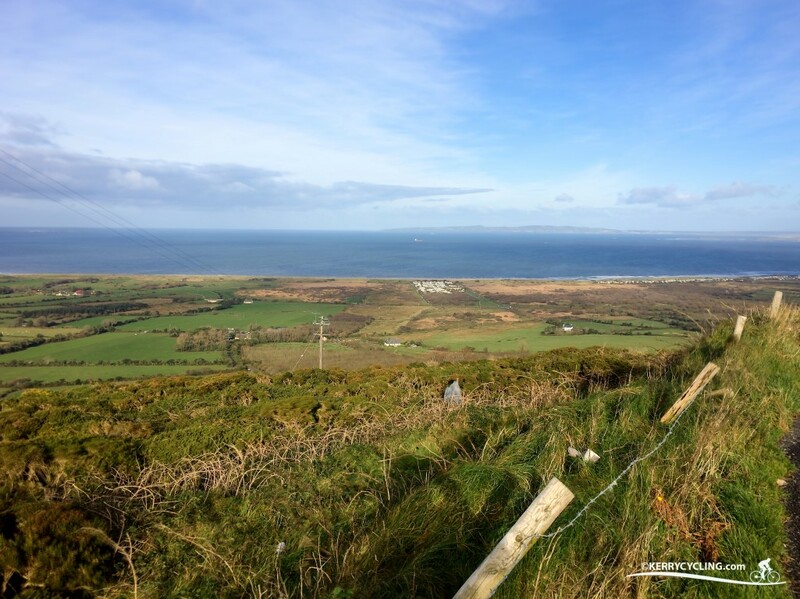 The top of this climb can be quiet exposed also and should be taken carefully and also on the descent into Annascaul with 35 km cycled which is a good place to take a break. Head out from Annascaul in the direction of Inch beach which is the opposite side of the Dingle peninsula from Camp and again can be quite exposed. This road however is mostly flat to rolling and a welcome break from the previous climb. After 25 km and having cycled through places such as Keel and Boolteens (small villages) you reach the town of Castlemaine and turn left for Tralee with 16 km remaining in the spin. 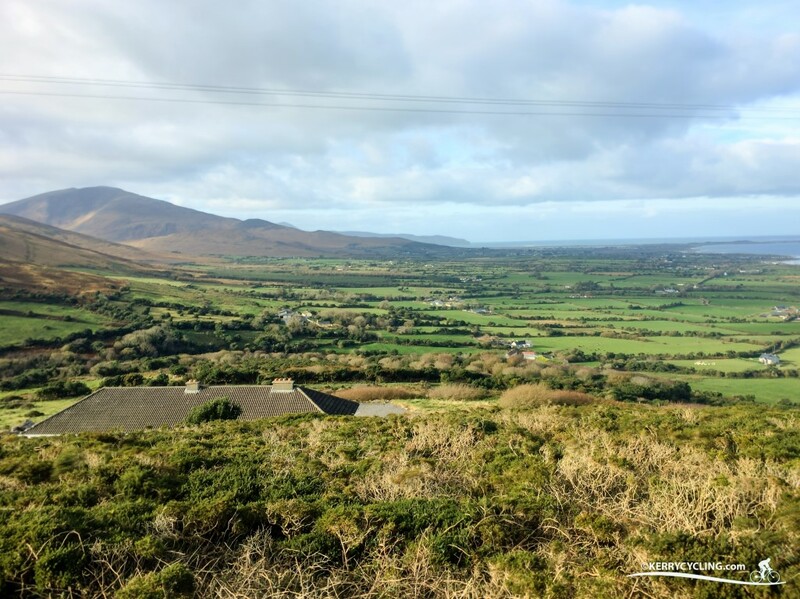 The final leg of this cycle contains a hill known locally as Tralee Mountain which reaches a height of 177 metres but is not as punishing as the first climb and has a very steady gradient. On top of this climb a view of Tralee and it’s approaching descent greets you for some nice freewheeling or time to put the hammer down for those with the legs to go for it. There are a number of cafés, shops and pubs en-route in Camp Village, Annascaul, Inch, Boolteens and Castlemaine.